Butterfly Anti-Mosquito Pouches with 2 Refills from Safe-O-Mos is the safest pick to protect your kids from mosquito bites, both inside and outside the house. 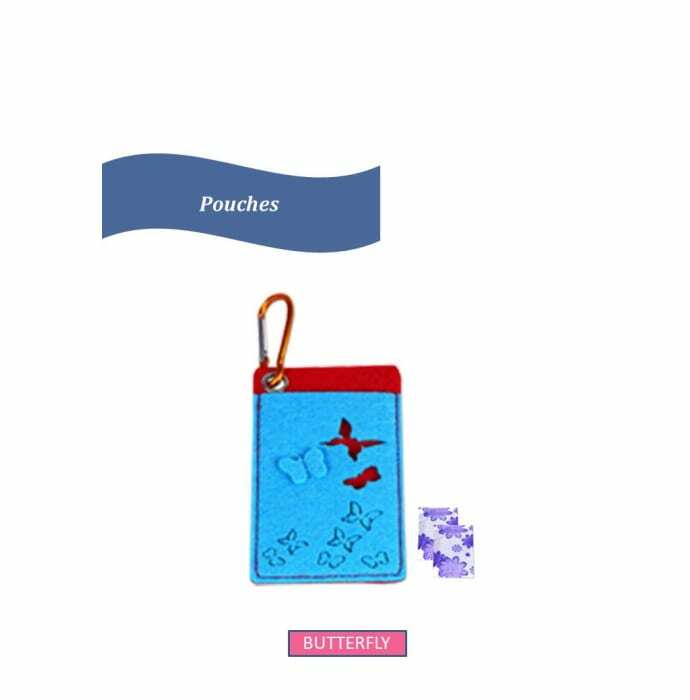 Specifically designed to suit your kid’s soft skin, these pouches comprise a composition of 6-synergitic natural ingredients, including citronella oil, rosemary oil, lavender oil, geranium oil, mint oil and clove oil to act as a competent barrier against mosquito bites and related infectious diseases, such as dengue, malaria, chikungunya and zika. These pouches don’t involve skin application and work on a unique technology for long-lasting effect. Based on advanced technology, these repellent pouches target and block mosquitoes’ sensory mechanism thus keeping them away from your kid. Known for their attractive colour combinations, pleasing smell and all-weather usage, these pouches will keep your kid safe against mosquito bites and diseases like dengue, malaria, chikungunya and zika. A licensed pharmacy from your nearest location will deliver Safe-O-Kid Butterfly Anti-Mosquito Pouches with 2 Refills and Free 6 Anti Mosquito Patches / Stickers. Once the pharmacy accepts your order, the details of the pharmacy will be shared with you. Acceptance of your order is based on the validity of your prescription and the availability of this medicine.